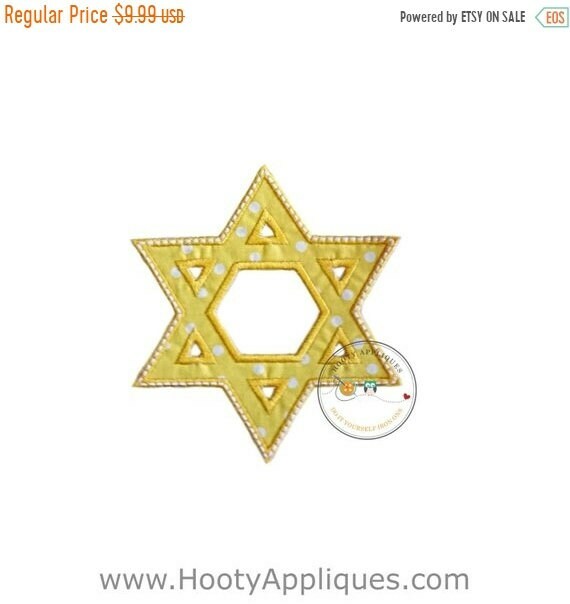 Star of David iron on applique. 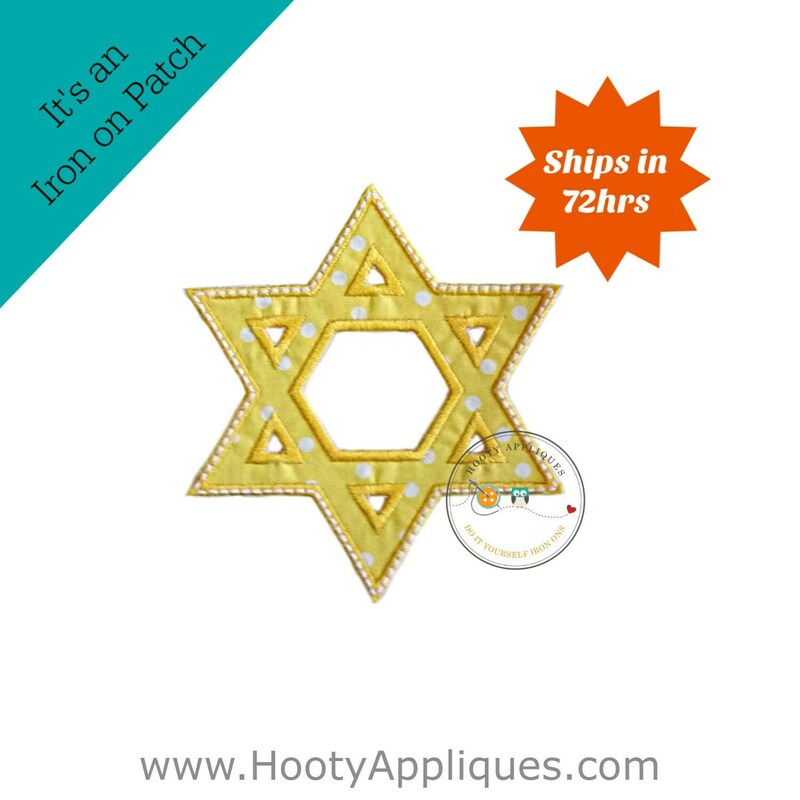 This star is made with bright yellow cotton fabric with white polka dots. This is a great no-sew patch to make a cute holiday decor. * Applique measures 5.25inches tall by 5.25 inches wide. * Can be applied with a household iron or sewn on. * Ships in 1-3 business days.We are liquidating our current stock, therefore, we are no longer offering color/fabric changes or personalization. PATCH WILL COME AS PICTURED.